In recent years, cloud computing has been as visible as any topic in IT. Its front-page news status has been accelerated by Amazon, Salesforce.com, Yahoo, and Microsoft, among other firms aggressively vying for leadership in providing cloud infrastructure or service. However, this race for mindshare has obscured cloud computing facts. 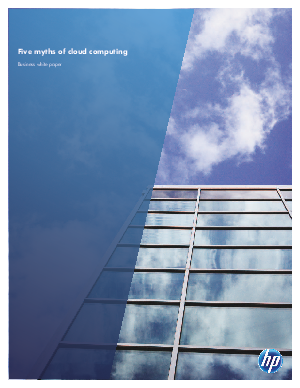 This white paper separates fact from fiction, reality from myth, and in doing so, will aide senior IT executives as they make decisions around cloud computing.